It is evident that the caviar, the roe of the sturgeon, is the king of the delights for the gourmets. But that does not mean that we should disparage other products like salmon roe. 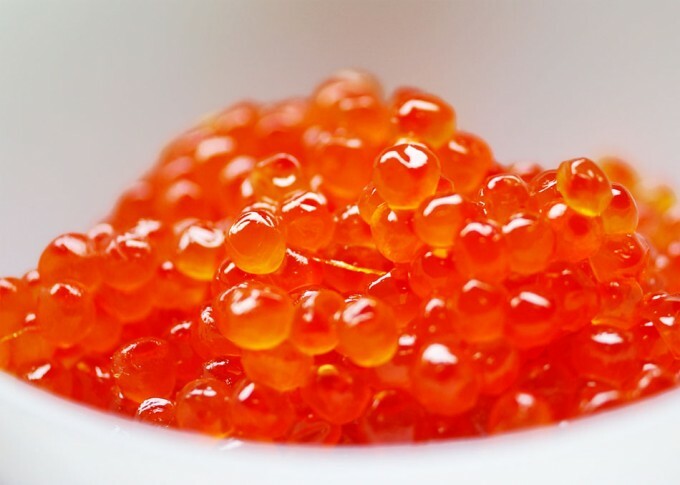 The exquisite wild salmon roe, with its firm texture and enveloping flavor, are a versatile and irreproachable product. They will change the color of your table of appetizers, are ideal on blinis or on a slice of smoked salmon. And they will also transform the flavor of a dish, giving you the rotundity of the sea taste in a cream of vegetables or a scrambled. Do not think that they are a simple element of decoration. You have to discover its flavor. Japan is the country where the consumption of salmon roe (which there are called ikura) is more widespread. In fact, they have been used since ancient times and there is a written record of its importance in the book Enkishiki, printed in the year 927. 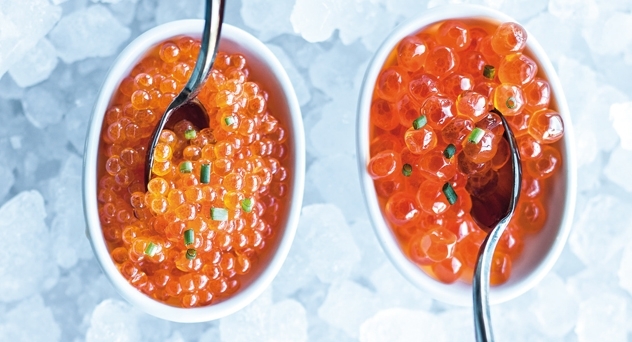 Currently, most of the ikura is prepared with wild Alaska salmon roe. At the time of reproduction, the female eggs mature within the ovary, grow and grow stronger as the salmon leaves the sea and heads towards the estuary, from where the river rises to the spawning site. Just before reaching the river, a careful selection of the captured salmon eggs is made, when fully formed, with the appropriate degree of consistency. 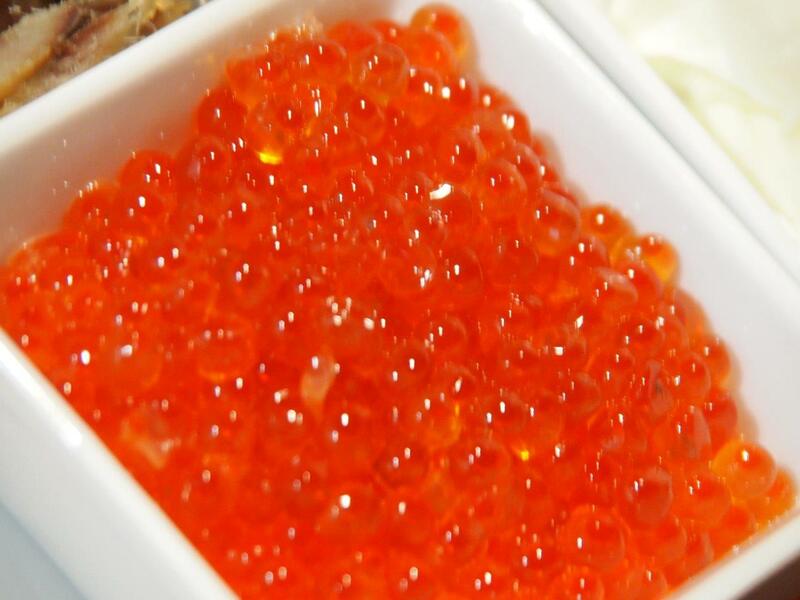 Thus, the salty ikura of great quality presents a bright appearance and a reddish orange hue. The roe must be whole, not crushed and separated easily. Once the salmon are caught, the eggs are removed from the females. They are then washed in a 3% saline solution. After removing the eggs from the ovarian sac and removing the skins and veins for a better presentation and tasting of the product. From here, the salmon roe can go through two different processes depending on whether you want to get salted ikura or ikura in soy sauce. To achieve the most common salty variety, the roes are stirred and cured in brine. They are then drained, sorted, packaged and weighed. To make the ikura in soy sauce, the roe must marinate from twelve to twenty-four hours. They are then drained and cured at the same time, sorted by their freshness and color and then packaged and weighed. Salmon roe are an explosion of pleasure that have been consolidated in the culinary world as a basic ingredient thanks especially to their slightly salty nuances, with marine memories, and their texture, which allows them to melt on the palate with a small explosion of flavor. 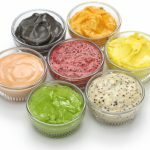 Although usually consumed accompanied by other elements, such as fillings, seafood cocktail, Japanese dishes (niguiris or makis) or as delicious ornament in all kinds of creams, we propose to try them on black bread and sour cream or tablespoons, giving them the leading role they deserve , As authentic “caviar” of salmon, pure marine essence. Now you can find this salmon roe at Mundisa Directo’s online shop.